In order to help you prepare for the competition, Silensec has made available a short course titled CyberStars available from SOLE platform, Silensec’s cloud-based e-learning platform. 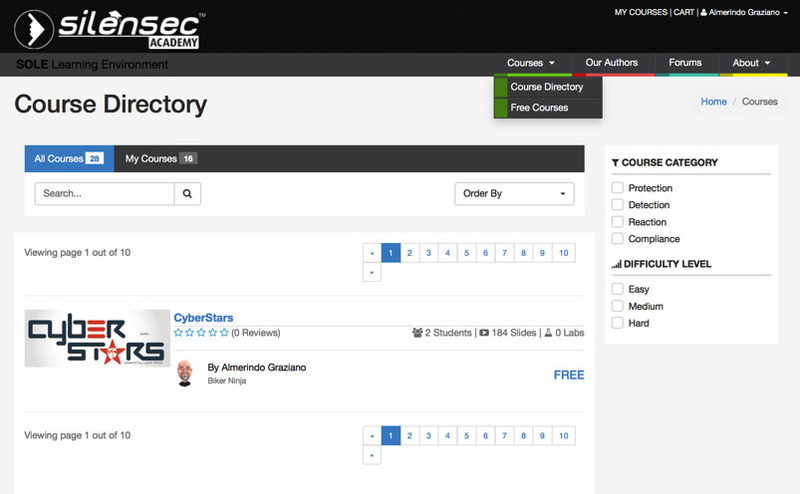 In order to access the CyberStars course, simply register on SOLE and navigate to the free courses as shown below. Select the CyberStars course and proceed to checkout (it is free and you will not be charged). After checking out, the course will be available under the “My Courses” menu item on the top right of the page.